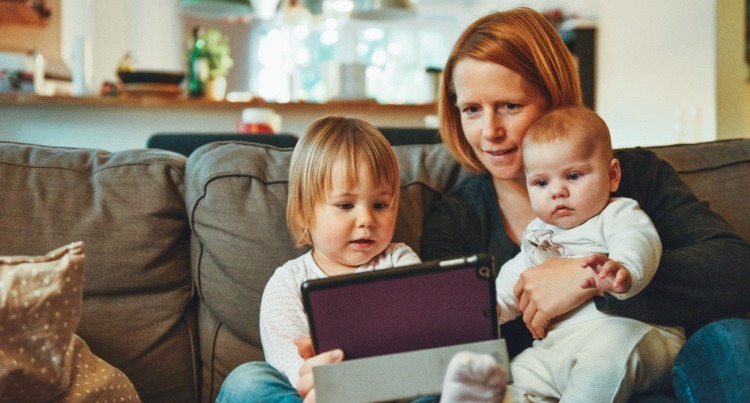 Liz Walsh, parenting writer for The Advertiser recently asked 5 parenting experts how to overcome the pressures of parenting in the modern age. Experts included psychologist Jodie Benveniste (JB), postnatal support director Sussanah Bryant (SB), clinical psychologist Kirrilie Smout (KS), deputy principal Richard Anderson (RA) and Assistant director of Centacare Catholic Family services Pauline Connelly (PC) shared. They shared with Walsh their advice on how to raise kids through the stress. Funnily enough, when asked to describe a modern-day parent, words used included “frantic”, “uncertain”, “time-poor”, as well as “hurried, stressed and pressured.” Yikes! Why Are Parents Today More Knowledgeable, But We’re Confused, Stressed And Time-Poor? JB: I think it’s a symptom of society and culture. There is so much disconnection in our communities and so parents are often parenting alone, even if they are co-parenting. KS: The culture of learning is really important. In no other area of life are we expected to simply know how to do it. Parenting doesn’t come with a manual, but there is sometimes a push back from parents against the idea that they need to learn and they can get better and if they study information and talk about it, then things often work out better. RA: Some of the best feedback, the best data you can get, is from your kids themselves, asking them: How am I going? RA: I think modern-day parenting has become a bit episodic. The evidence of great parenting and happy, content kids who are thriving and have great relationships, the parents of those children don’t believe in quality time, they believe every bit of time is quality, even the negative stuff. They are ongoing. It’s never done in a burst, they ride the journey the whole time. SB: I really hope for more flexible working for men. If you’re a woman and you’ve had a baby you can walk into your workplace and say: “I would like to take six months off and come back three days a week”. If my husband said: “I’d like to go to four days a week so I can spend more time with my children” he’d be laughed at. PC: This is a really big ask and I feel challenged by it daily on a personal level: Am I prepared to lower my standard of living so I can be a better mother and grandmother? PC: Love, consistency, boundaries, honesty and then all the rough edges around that, but that’s the core. PC: We have found that a lot of parents are feeling the same pressure they did as adolescents to be cool parents and have the cool kids and they don’t want their kids to drop out of a group. SB: Being a parent should make you a better person and you should strive to be a better person but you shouldn’t beat up on yourself all the time. How Is Technology Affecting Things? RA: Something that I am aware of is indulgence. We are indulged and we indulge our kids. But one thing missing with our kids is the notion of community and service. A young person really thrives when they are part of a community doing things for other people. But we battle against an emotional intelligence about “me, me, me” and comparing themselves with others and saying: “what can I have?” There will be a much better outcome if we were bringing up young people who have the interest of others at the heart. PC: There was a recent study saying today’s parents are absolutely hyper about safety. They make sure they have the right capsules, provide the right food and not let their kids ride their bikes around the neighbourhood. And yet, these same parents are picking their kids up from school with a phone in their hand, checking it as they are walking out of the gate, not watching where their kids are going. They are texting, not connecting. KS: My own bias is that I am very positive about technology and its place in childhood and parenting. I don’t have as many concerns about it. I think there are absolute risks, but the positives of what it has brought to both parenting and to children balance the risks as well. For example, new parents are more connected to other new parents via technology. It’s about how we manage this: It’s about setting boundaries. KS: Discipline should be about teaching, first and foremost. If you think about challenging behaviour being about a child or a young person not having a skill, then a lot of the time you’re going to be on the right track and the consequence for rule breaking needs to be around how do I coach or skill this up? JB: Discipline should be about loving guidance. PC: And there always have to be consequences. Tips For Parents In 2017? JB: Listen to yourself, love yourself. Listen to your children, love your children. PC: It’s not a popularity contest. KS: Take time to reflect and build in time for parenting reflection into your week. RA: Ask your kids how you are going. SB: Know that you are probably good enough and listen to your inner voice. Thanks to Liza Walsh and The Advertiser.